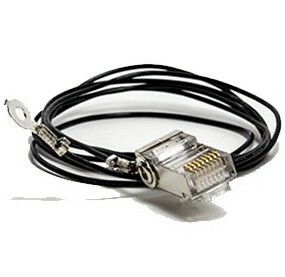 The Ubiquiti TC-GND is a shielded RJ-45 type connector intended for Ubiquiti Networks TOUGHCable products. This product uses a special construction which allows for the installation of a protective ESD cable without the need for soldering. The connectors are RoHS compliant which means that the application of dangerous materials used in electric and electronic products is reduced in this case. This product is available in boxes of 20 TC-GND items, the price pertains to one item.